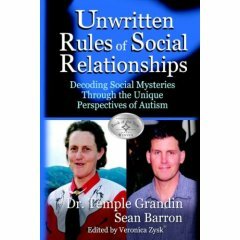 Dr. Grandin and Barron address the social challenges those with autism and Asperger's face, explaining in the process how confusing and illogical normal societal rules can be. They also address the "unwritten rules" that most children understand instinctively but are a mystery to those on the spectrum. They teach how to trust feelings, be assertive in a positive way, and deal with negative people and situations.